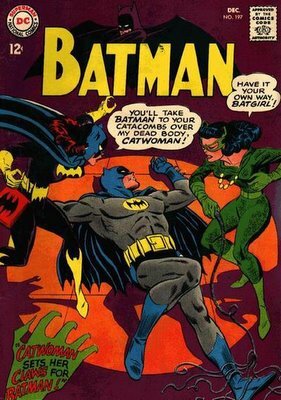 The Catwoman had been a regular foe of Batman's since her first appearance in Batman #1. 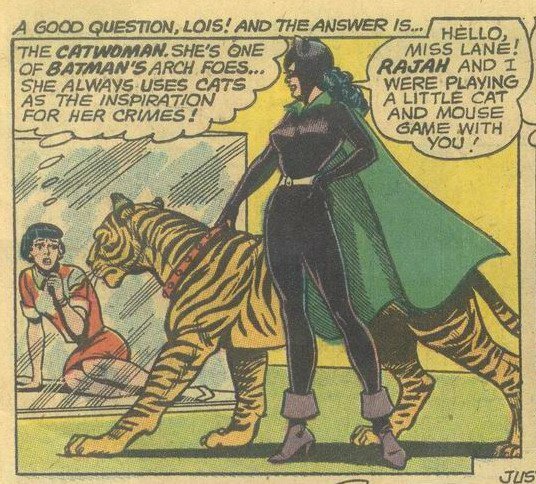 While not appearing as frequently as the Joker, she did pop up in at least 19 stories between 1940 and 1954, so roughly once a year the readers could count on another Catwoman story. But Detective #211's The Jungle Cat-Queen was her final appearance for almost a dozen years. Of course, the Catwoman clearly violated #5 and #6 regularly, and so she had to go. 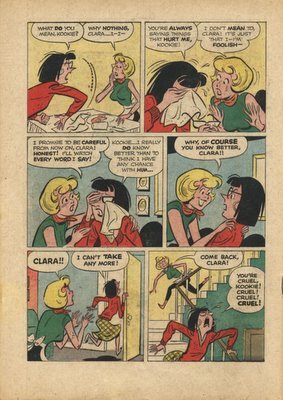 She disappeared (outside of story reprints in 80-Page Giant #5 and Batman #176) until 1966. 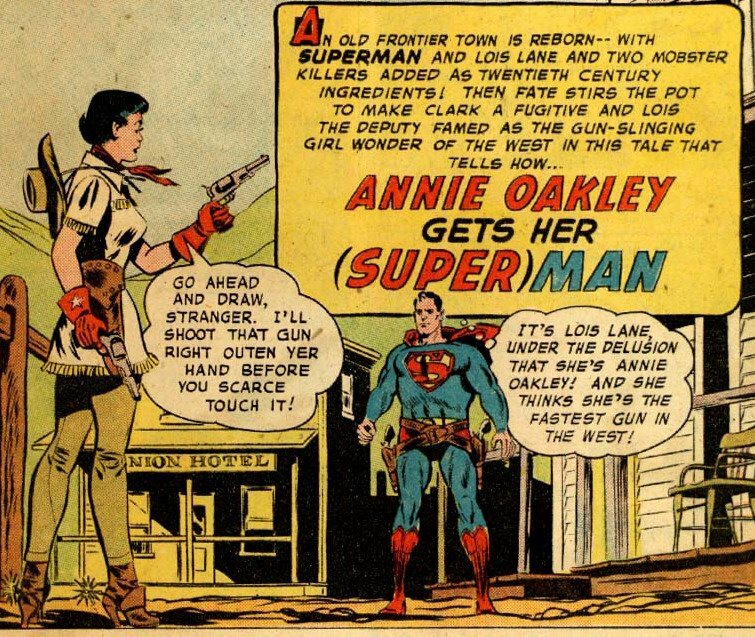 And when she returned, it was in a surprising location: Lois Lane #70. 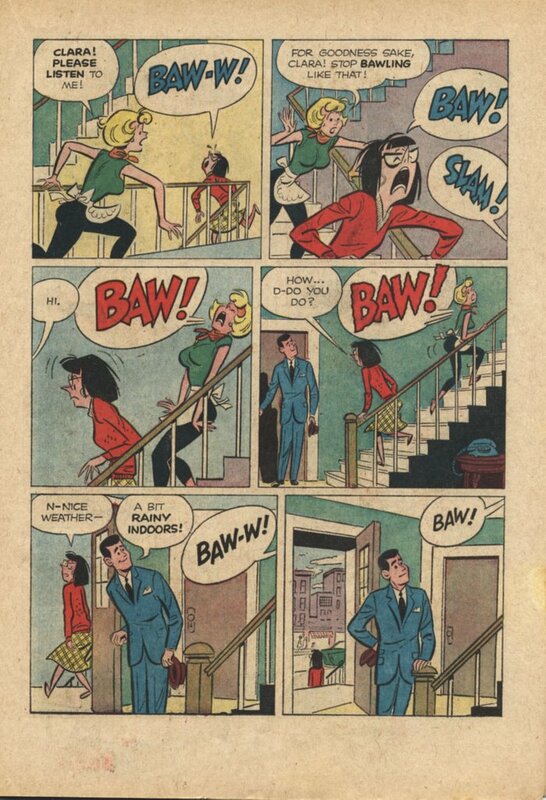 Why there? 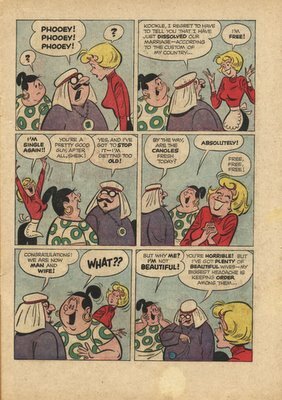 Well, it was November of 1966. 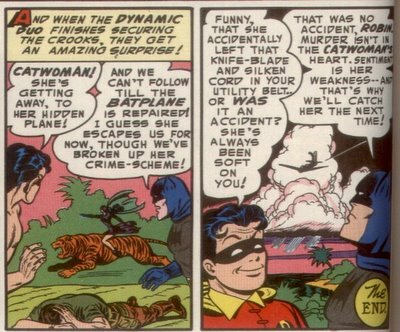 Batmania was in full swing, and Mort Weisinger may have decided to ride the wave by borrowing Batman's female nemesis. 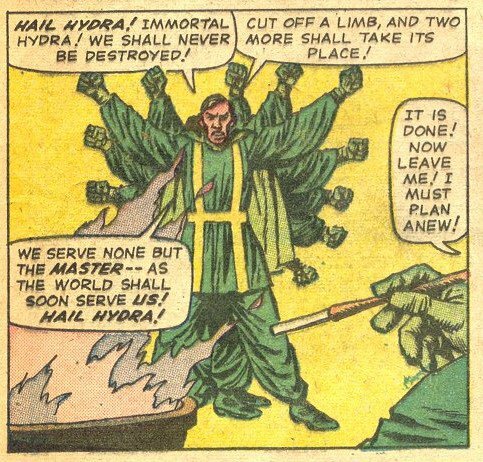 I will not make my enemy suffer first. Most of the superheroes in the DC universe had some method or other of traveling through time. 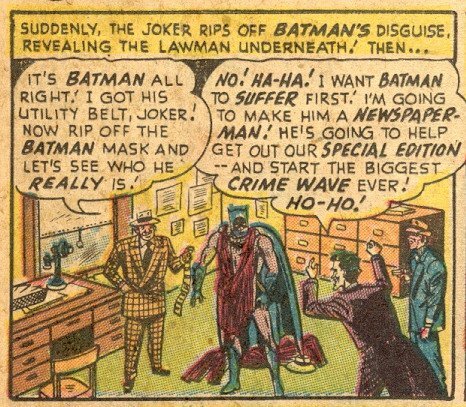 Batman had Professor Nichols, who initially appeared to project him and Robin into the past via hypnosis, a preposterous notion that DC covered up for years by throwing more and more scientific-looking instruments into the room. Flash had his Cosmic Treadmill, a definite forerunner of the exercise machine gathering dust in many basements across America. 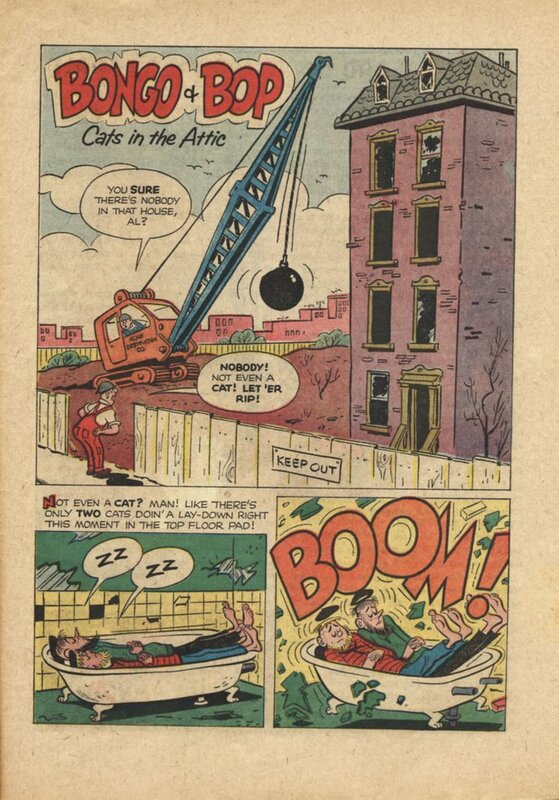 The Atom had the Time Pool. Superman could just fly in a tight circle for awhile and he'd automatically go forwards and backwards in time. 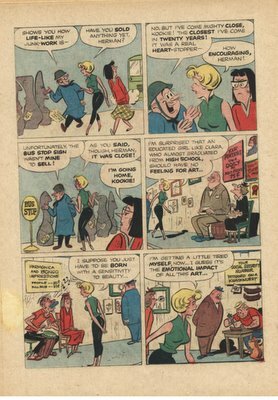 The basic glass sphere would remain constant for most of the Silver Age. 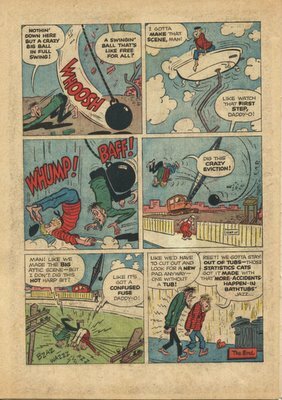 Many of the machines had skids, like a helicopter, or else a tripod arrangement for stability when on the ground. The crucial element of time travel that DC established first appeared in a Superboy story, The Impossible Mission, in Superboy #85. 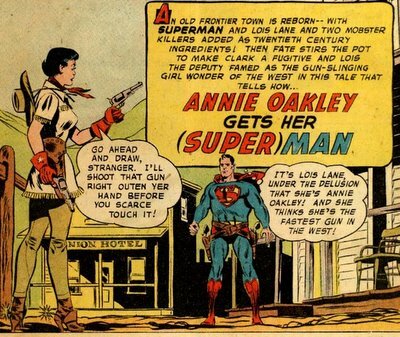 Superboy decided to travel back in time to save President Lincoln from John Wilkes Booth's bullet. 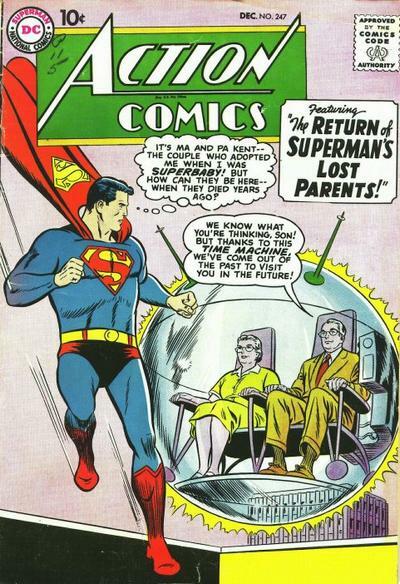 But when he got back there, he encountered the adult Luthor, who had also traveled backwards in time for some plot. Luthor, thinking Superboy was onto his schemes, managed to paralyze Superboy with a piece of red Kryptonite. 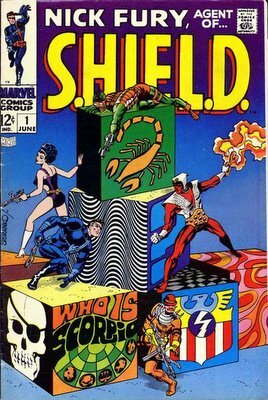 When the commotion arises at the Ford Theatre, across from Luthor's hotel room, Lex realizes he has helped to kill the greatest President the country ever had. 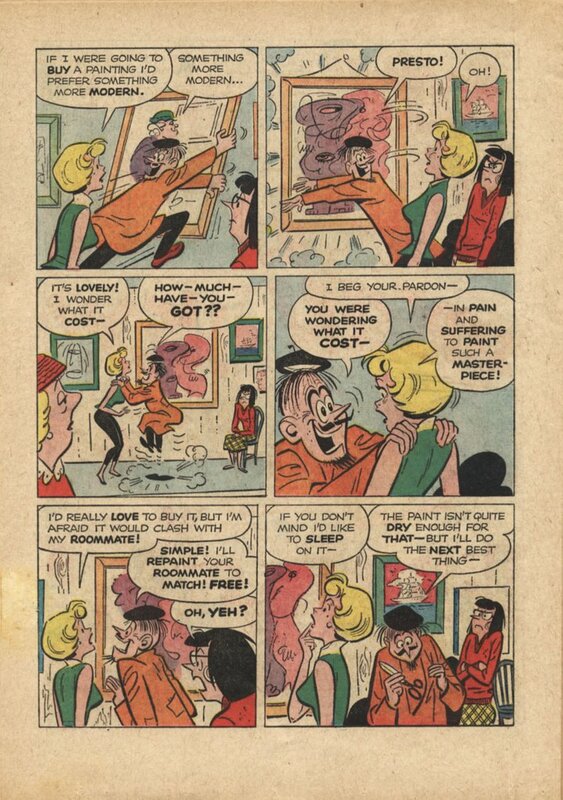 Surprisingly he seems genuinely upset and guilt-ridden. 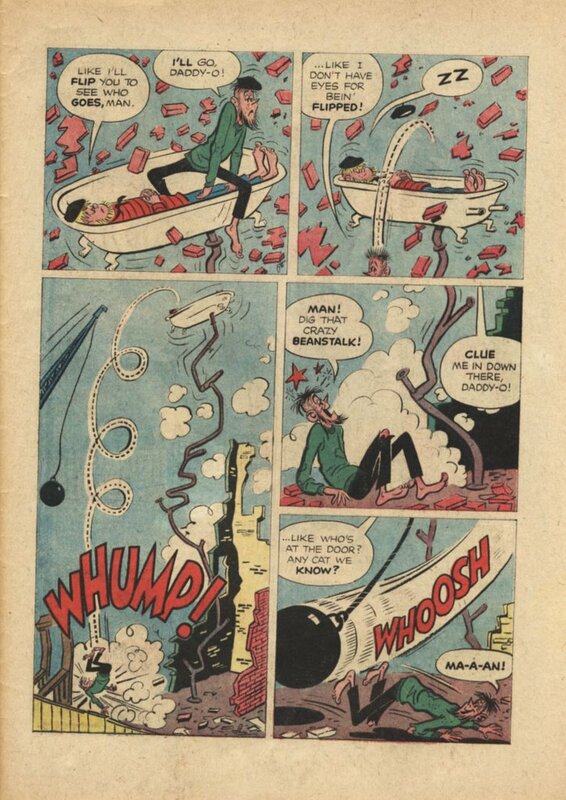 But the lesson that Superboy takes from this escapade is that you cannot go back in time and change history. And for the most part, DC stuck with that rule for the rest of the Silver Age. 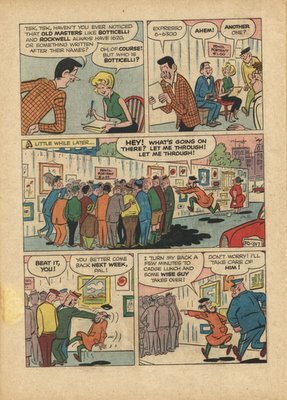 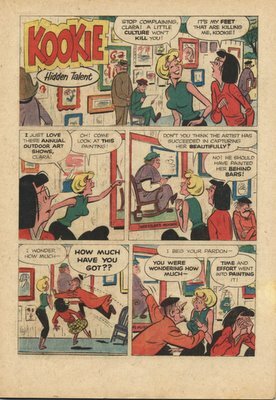 Comic publishers have always dutifully scanned popular culture for clues as to topics that appear to interest teenagers. 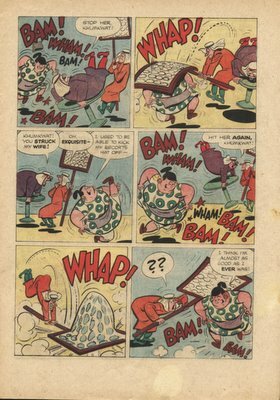 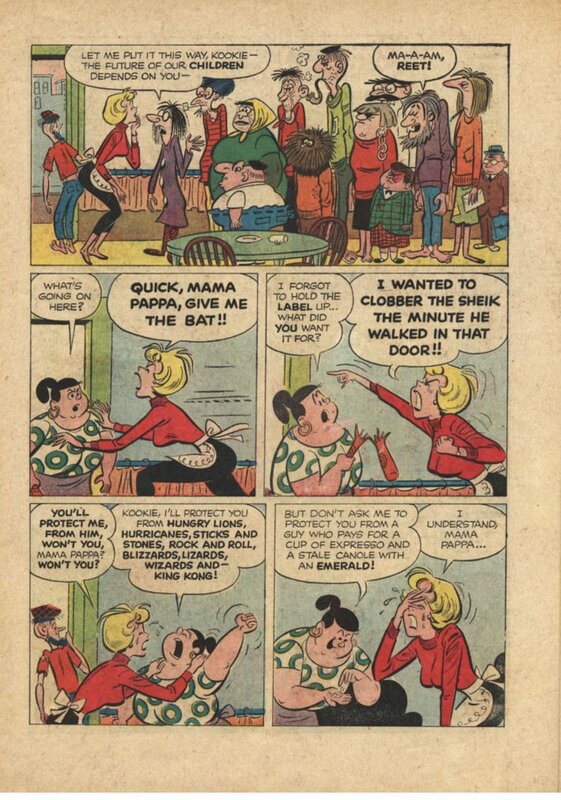 In the 1950s, comics were produced to capitalize on the appeal of Westerns at the movie theatre. When monster movies were popular, monster comics were not behind. 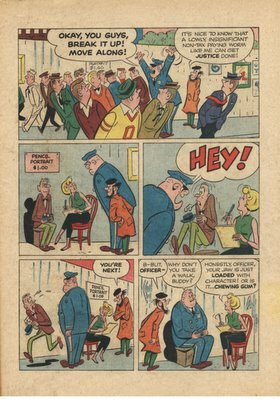 And when spies and secret agents became hip in the mid-1960s, the publishers rushed to fill the demand. 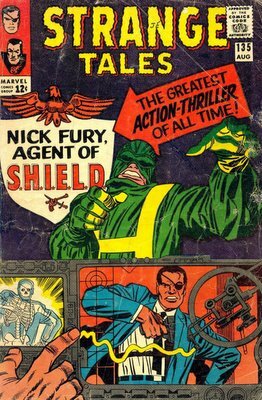 Fury had been a character in the Marvel universe for several years already, albeit as a historical character. He was Sgt. Fury, leader of the Howling Commandos, a World War II fighting squadron. Now Marvel decided to age him a few years (but not quite the 20 that the calendar called for) and make him a secret agent. 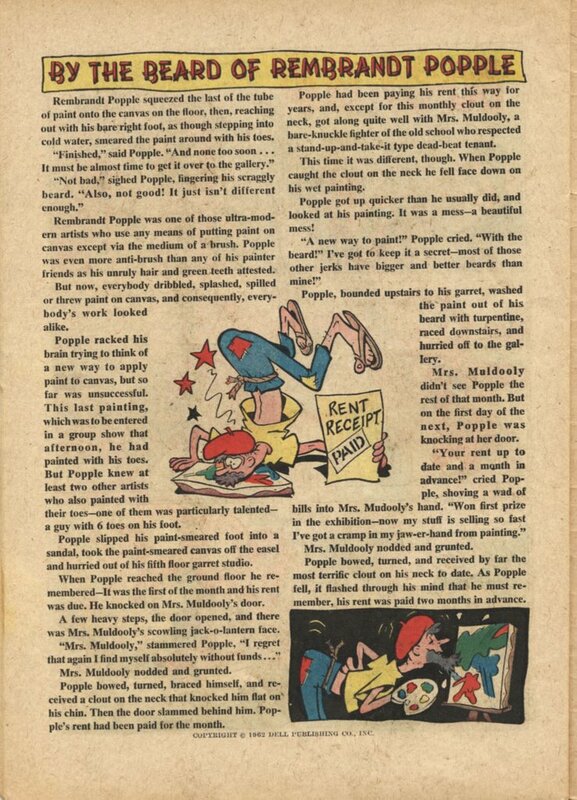 In early 1968, Marvel decided to quit doing anthology magazines. Strange Tales was changed to Dr Strange with issue #169, and Nick Fury Agent of Shield was given its own title starting with #1. 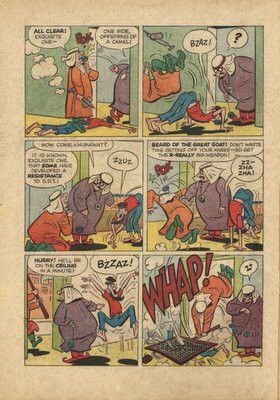 Unfortunately the title struggled a bit on its own apparently, possibly because of the inevitable decline of the secret agent genre after the initial fad died down. The first twelve issues of NFAS were published on a monthly basis, but with #13, the frequency was changed to bi-monthly and the title only lasted to #15. 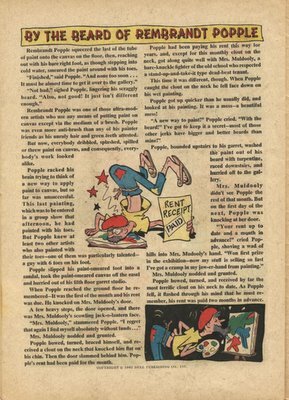 A year later Marvel published three more issues but they were reprints of the early Strange Tales stories. 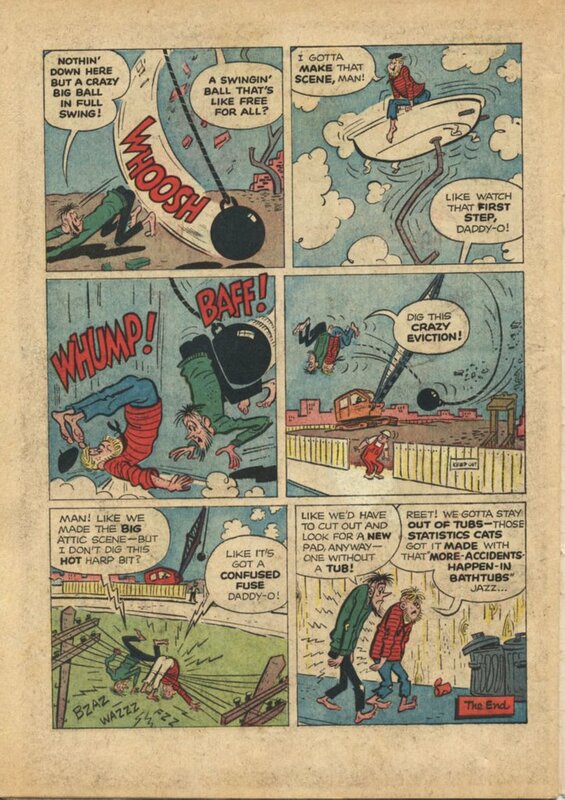 Not even Superman can avoid the taxman! 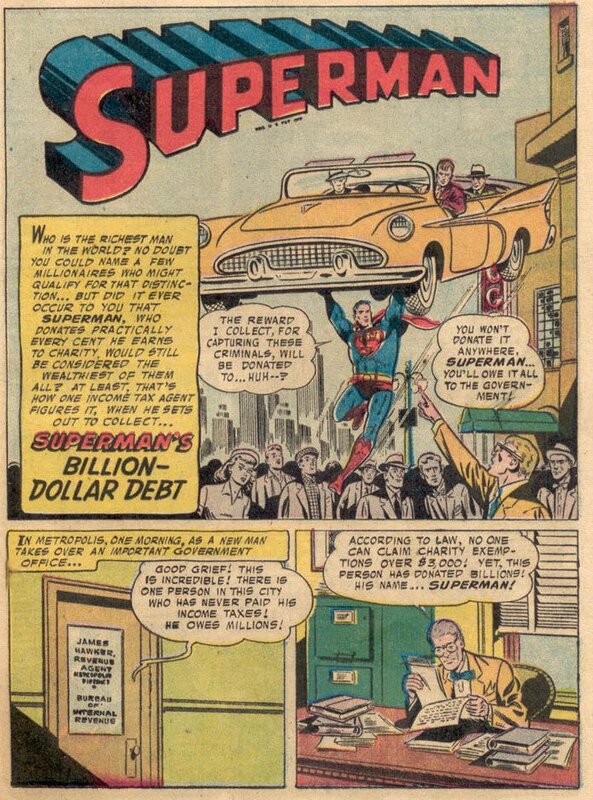 In the story, Superman owes a billion dollars to the government, and must pay up by the next day. 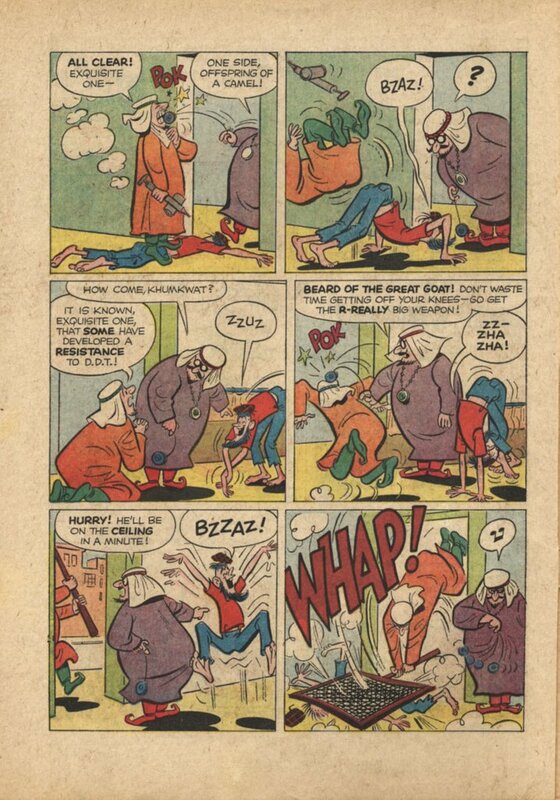 But every time he tries getting something valuable he finds a better use for it than paying the debt--hospitals need the radium he digs out of the ground, for example. In the end, a compromise is reached. 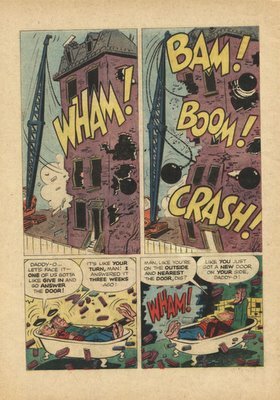 This is only one of several Silver Age stories I can think of that featured the emerging snares of the postwar era. For example, in Batman #91, the Caped Crusader had to deal with "Batman's Publicity Agent", an overagressive promoter. 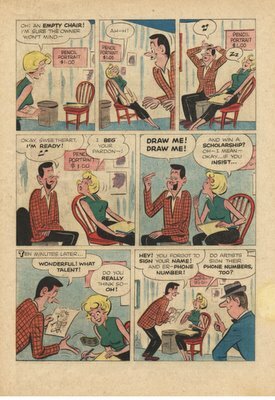 In the following issue, "The Fan Mail of Danger", Batman is forced to hire a secretary when his fanmail starts to pile up. 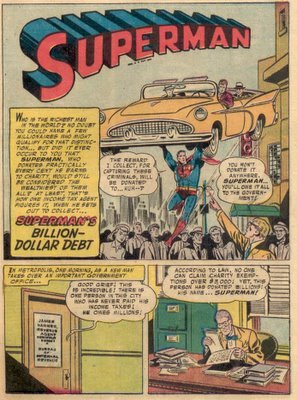 There was also a story about Superman at some point where he had to purchase life insurance, and as a result the insurance company begins bugging him not to engage in so many risky events. 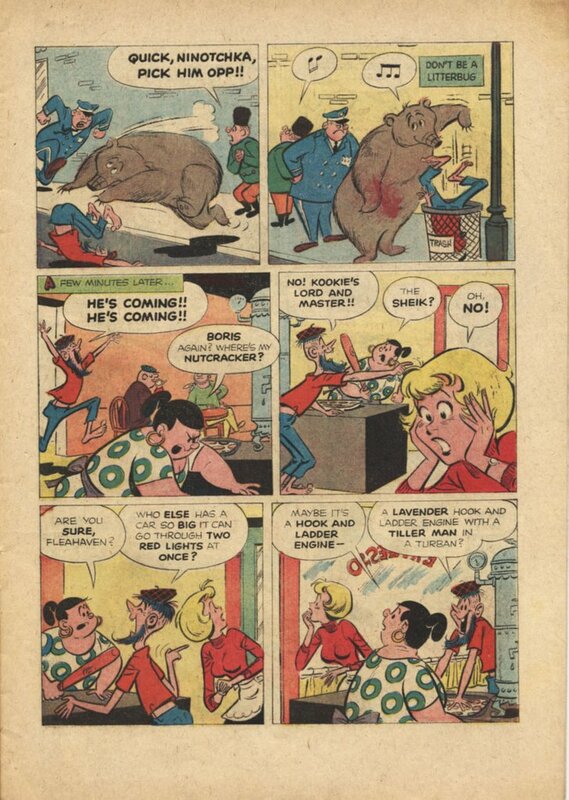 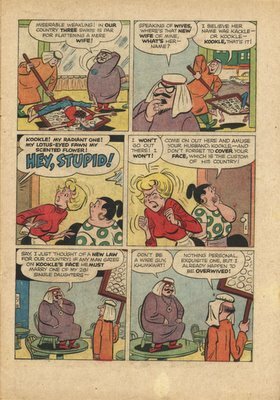 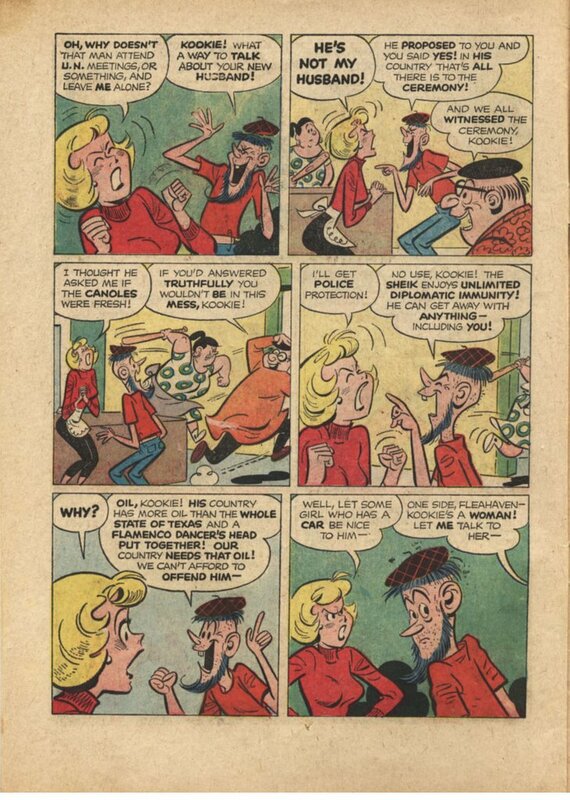 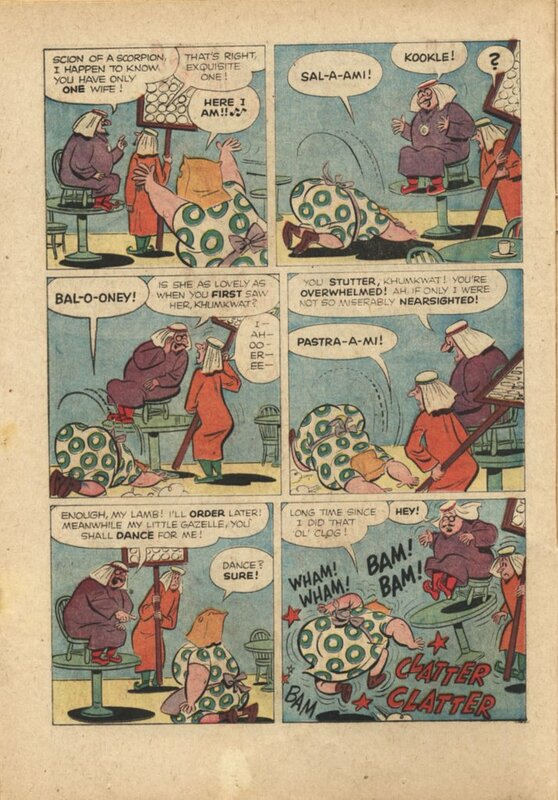 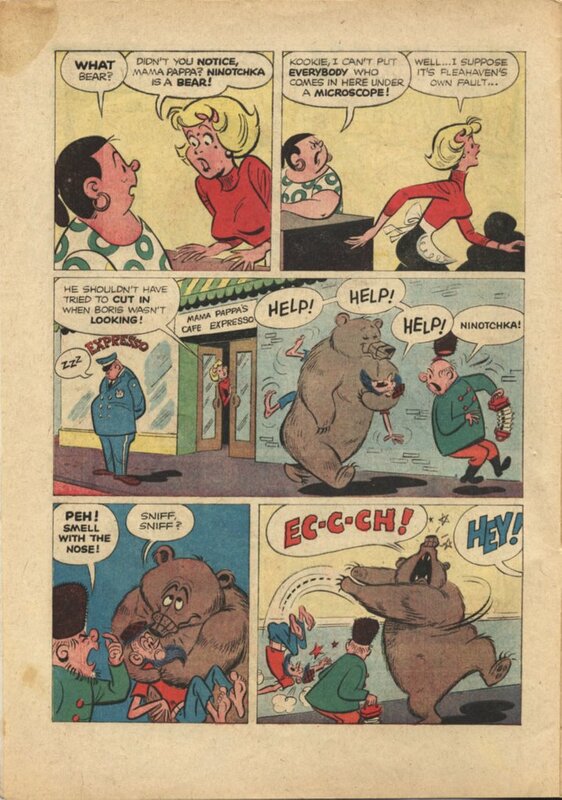 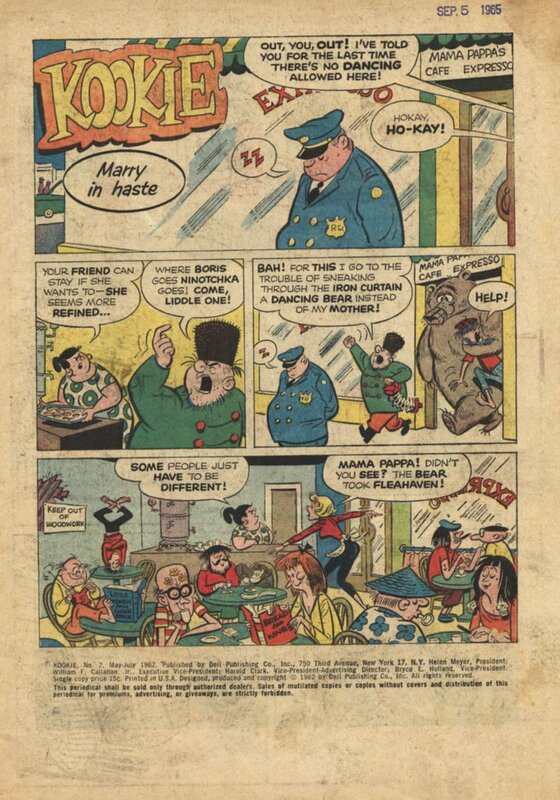 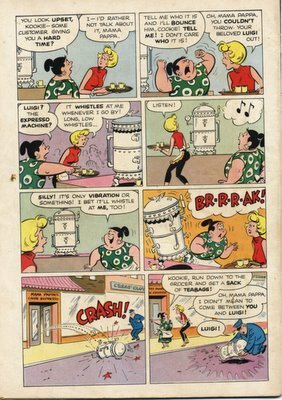 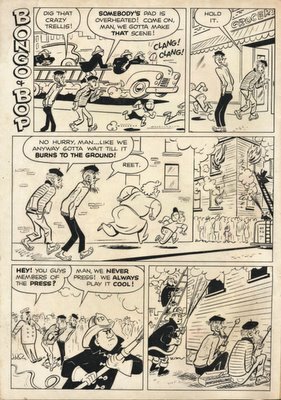 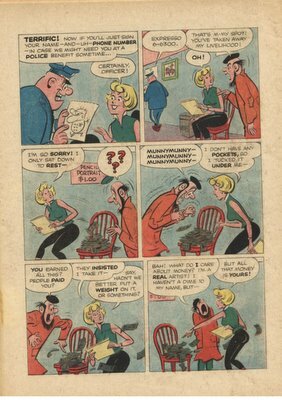 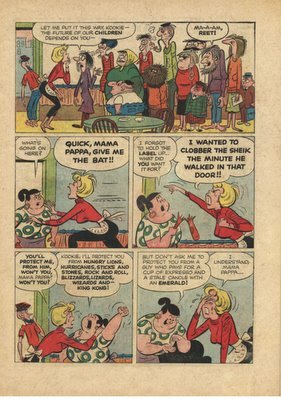 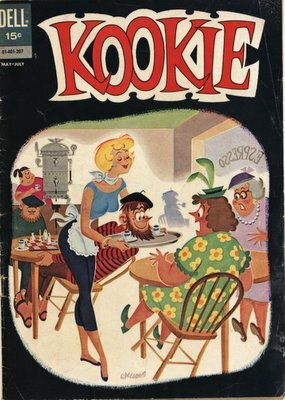 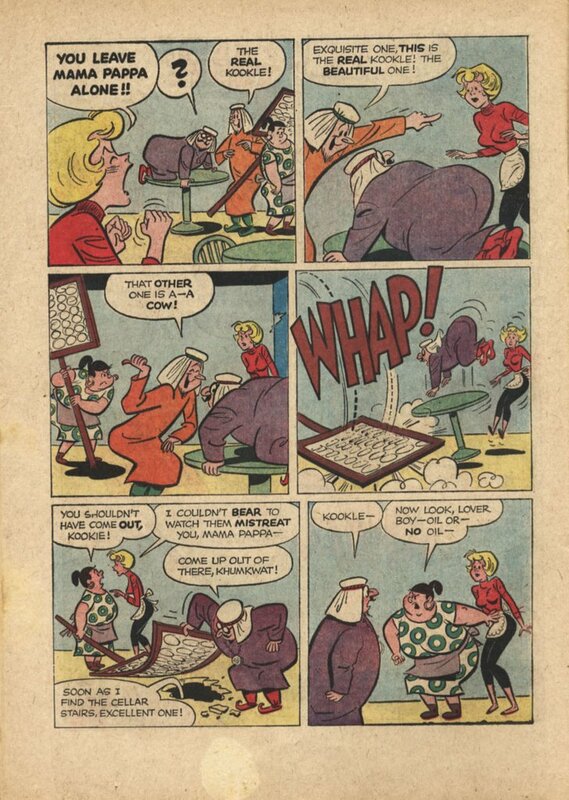 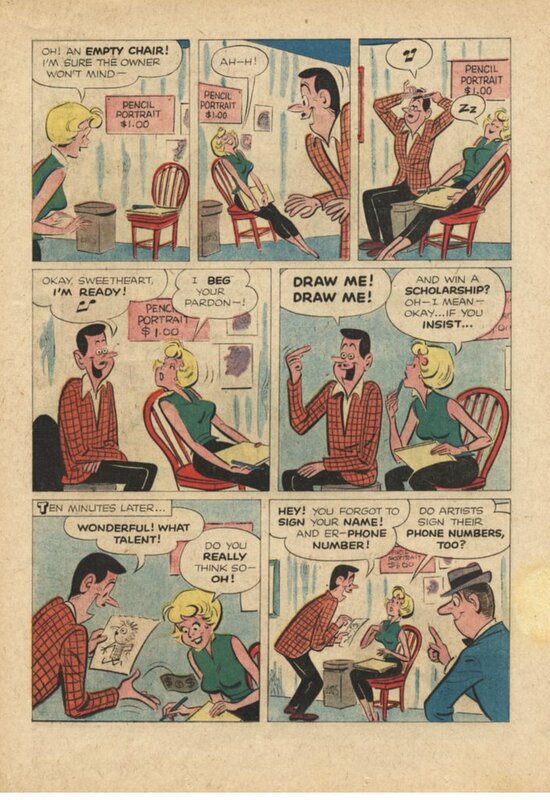 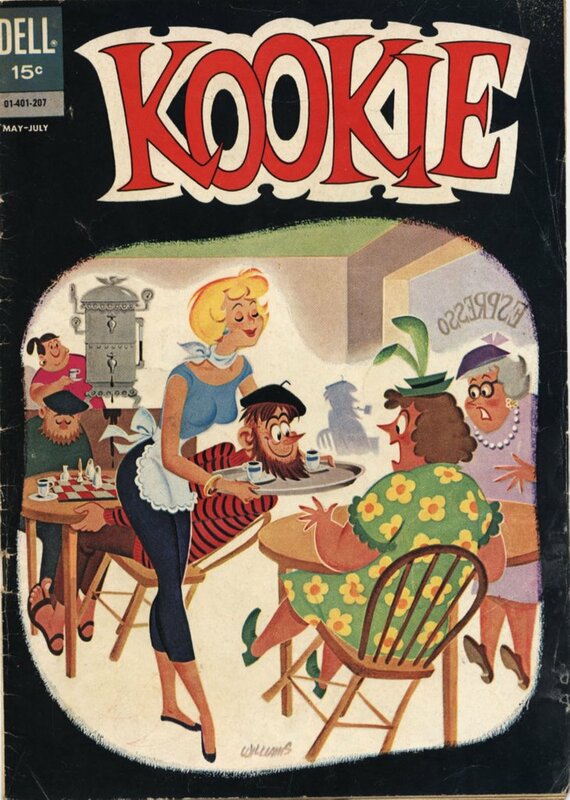 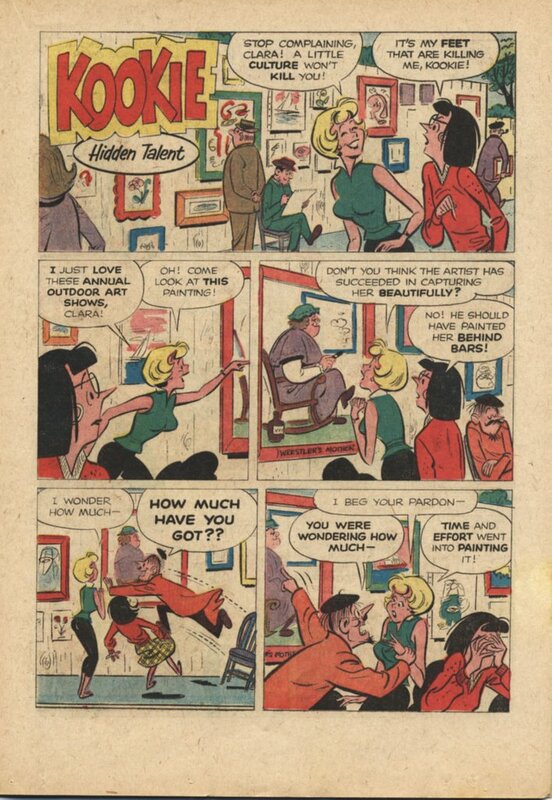 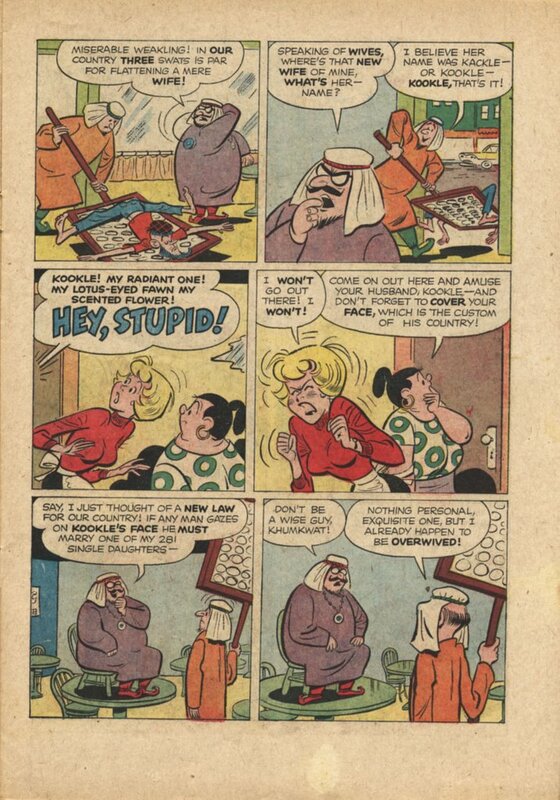 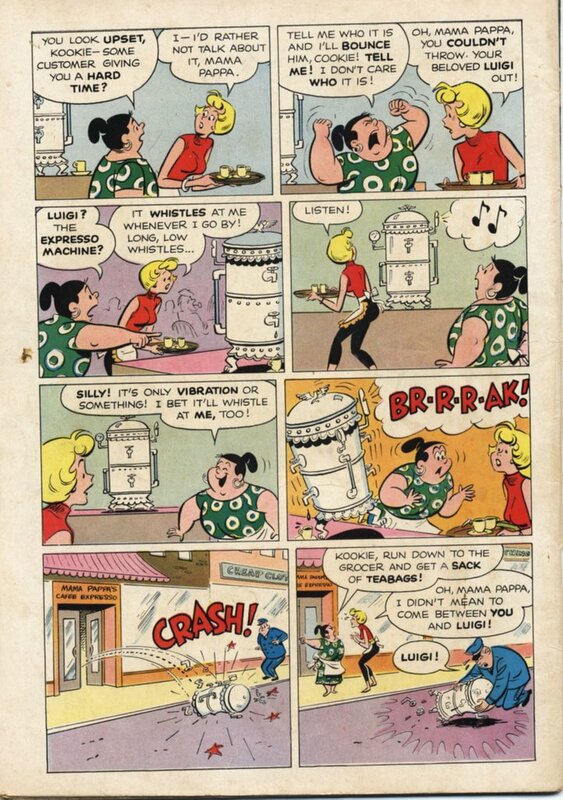 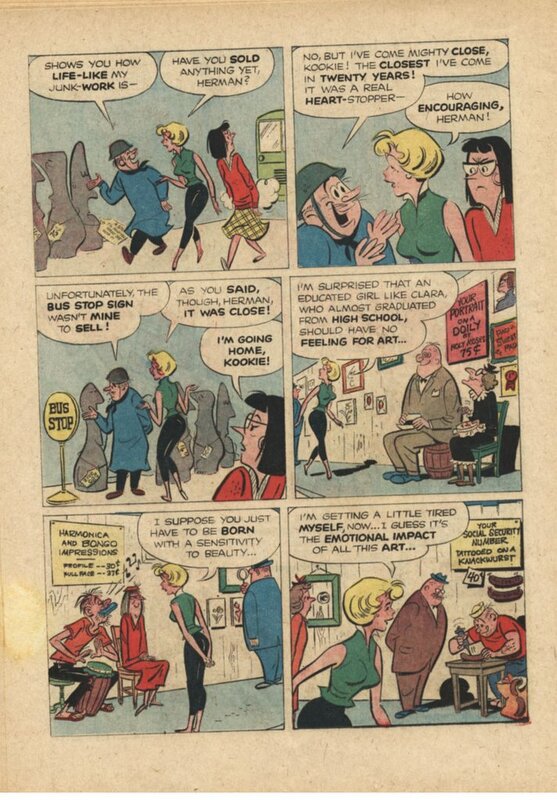 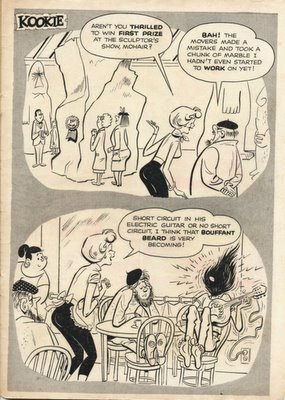 Fred Hembeck wrote eloquently about his appreciation for Kookie #1, an early 1960s good girl comic with a twist; the girl worked in Greenwich Village, at an espresso bar frequented by beatniks. You can read this terrific comic online here. 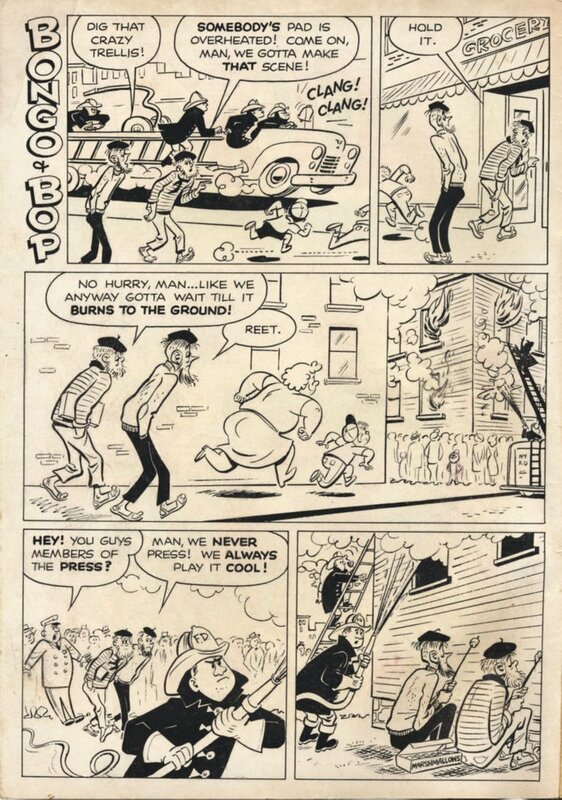 Fred also put out a request for somebody to post #2 online; this is my reply. The scans are not my own, I downloaded them from alt.binaries.pictures.comics a few months ago. The occasional snide commentary is all mine. 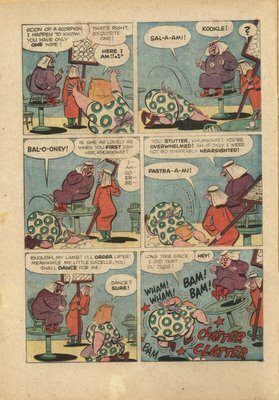 You can click on each picture to expand it up to two times; at the second level of magnification it becomes more readable. 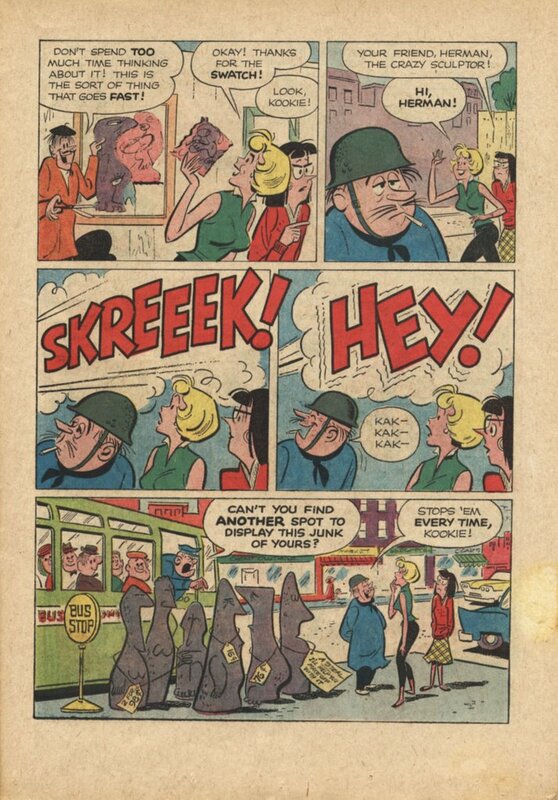 "Bring me the head of John the Beatnik!" 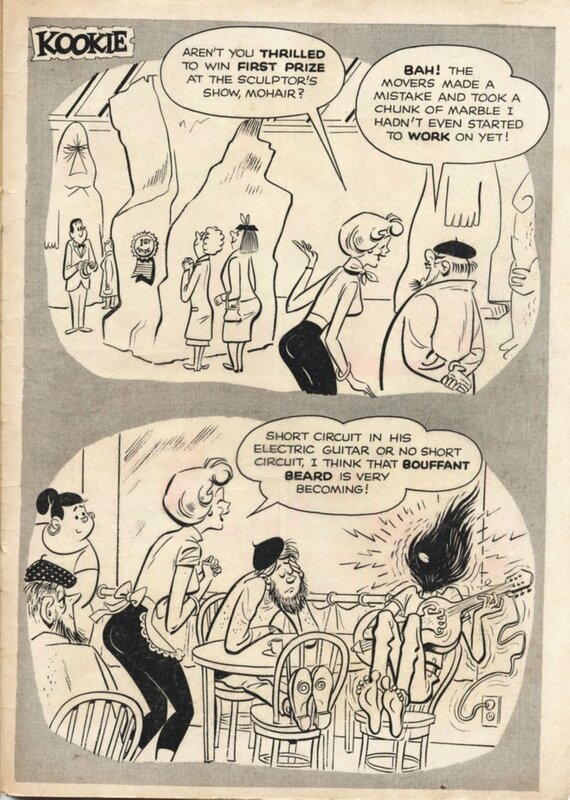 #1--If you're suffering from a mental disturbance, you should never be told that you've gone crazy. 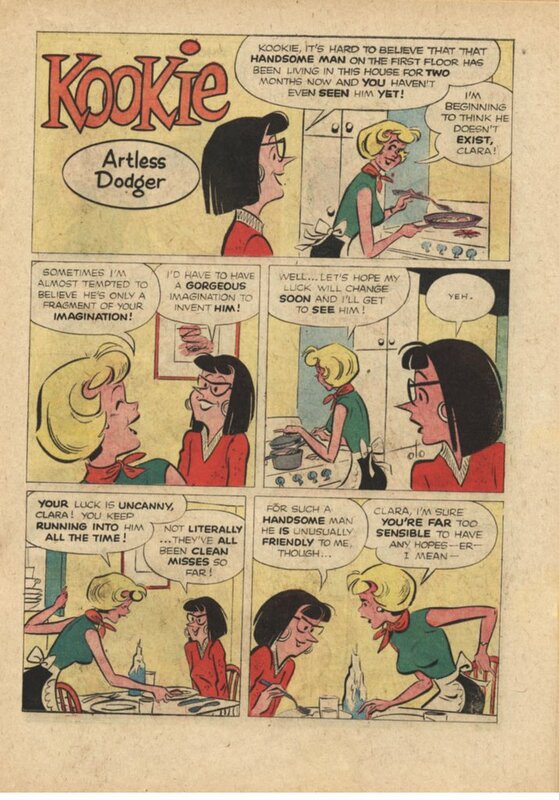 People around you should humor your delusions. 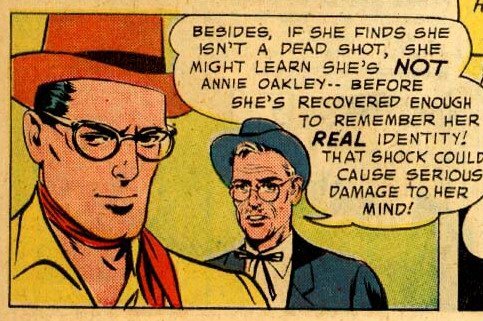 "Serious damage to her mind, you say, Doc? 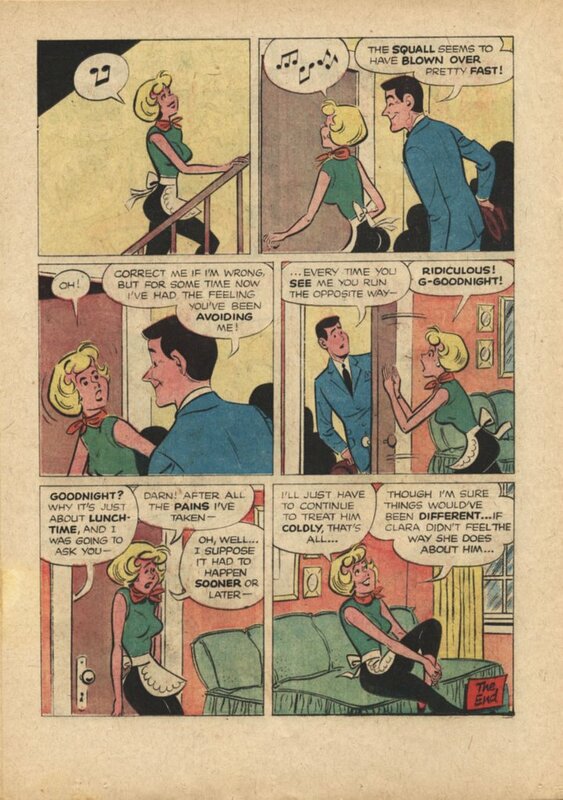 Like--err, if she were to say that I'm really Superman?"